ResoundNow addresses a great need of our day. The next generation is waiting for relational, purposeful discipling connections. So how do you make disciples who make disciples of our children, mentees or those you are reaching for Christ? Resound Now has a clear pathway to becoming a disciplemaker. It’s your legacy; connecting the hearts of others to the heartbeat of Jesus! Individuals and ministries across the nation have benefited from the equipping events and resources of ResoundNow. What is the underlying purpose of life? What would it take to have a lasting legacy? directly connected to Jesus’ Great Commission in Matthew 28? What does the Great Commission look like in the ordinary lives of average, everyday Jesus followers? marker we may be stuck and what it would take to walk with Jesus - step by step – on the hike of our lives. 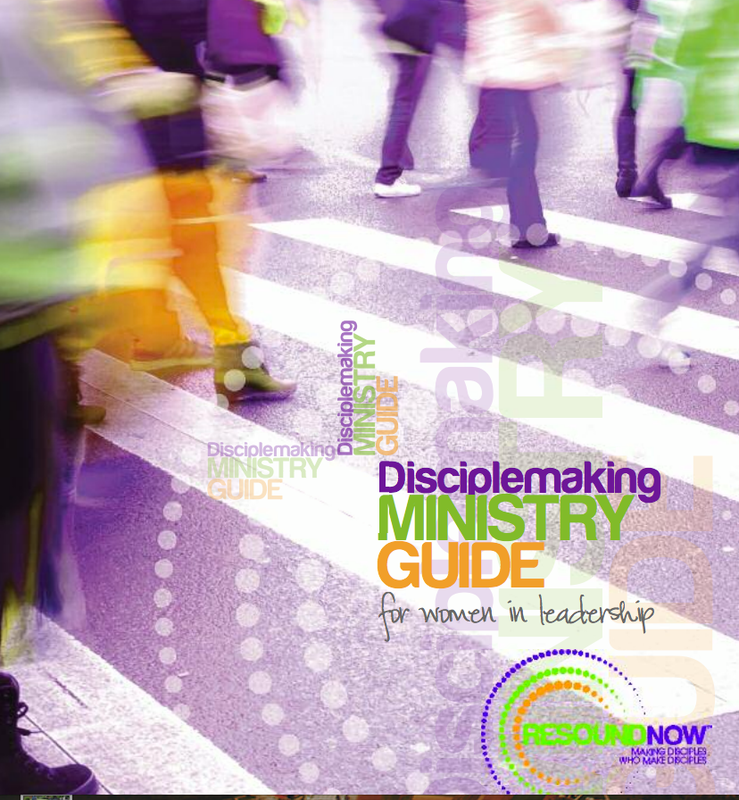 Grow the disciplemaking DNA for the next generation of ministry at your church or in your small group with The Disciplemaking Ministry Guide for Women in Leadership. It's full of how-to articles and guided dialogues. This is a one-of-a-kind, valuable and practical tool impacting anyone to become healthy, multiplying disciplemakers. EVERYONE can benefit from practicing Intentional Living as a disciplemaker or leader. Participants benefit from a fresh look at their relationship with Jesus, how well they are taking care of their soul and how time can be managed more effectively by applying the rhythms and principals of Intentional Living. The journey into living intentionally brings greater focus to the Lord's Kingdom call on our lives as disciplemakers and affects every area of our lives. This training is perfect for a retreat or one day event.